Behind-the-scenes for The First Korean Designer Collection in Singapore "Timeless Elegance"
Korean designer bridal gowns and suits right here in Singapore? Thought you’ve seen or heard us wrong? 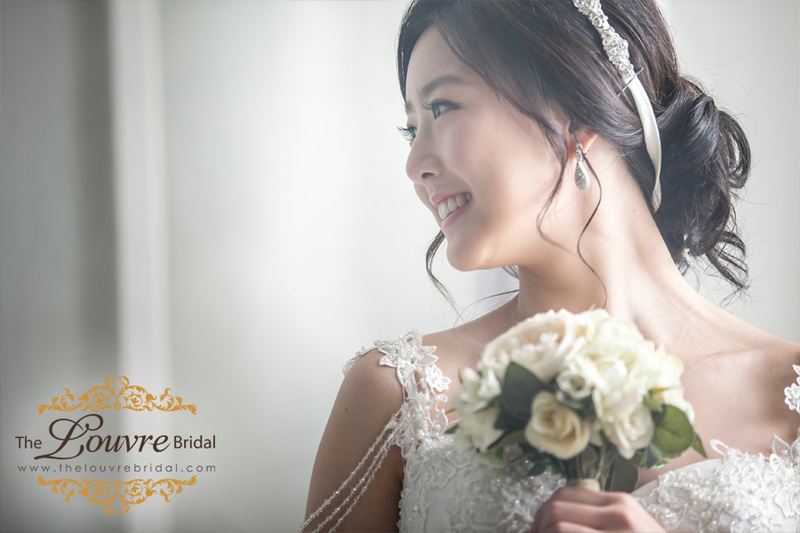 It’s true, The Louvre Bridal is bringing you yet another surprise to complete your full Korean wedding dream! Now Singapore brides and grooms can put on Korea designer wedding dresses and suits styled to the Hallyu style for your pre-wedding or actual day in Singapore. 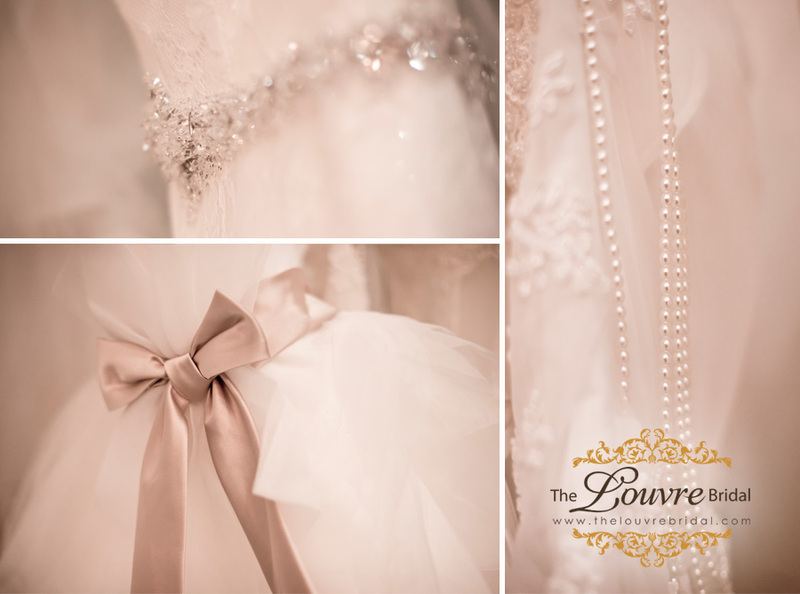 Exquisitely crafted by The Louvre Bridal, the first ever Korean designer collection in Singapore named “??? ?? 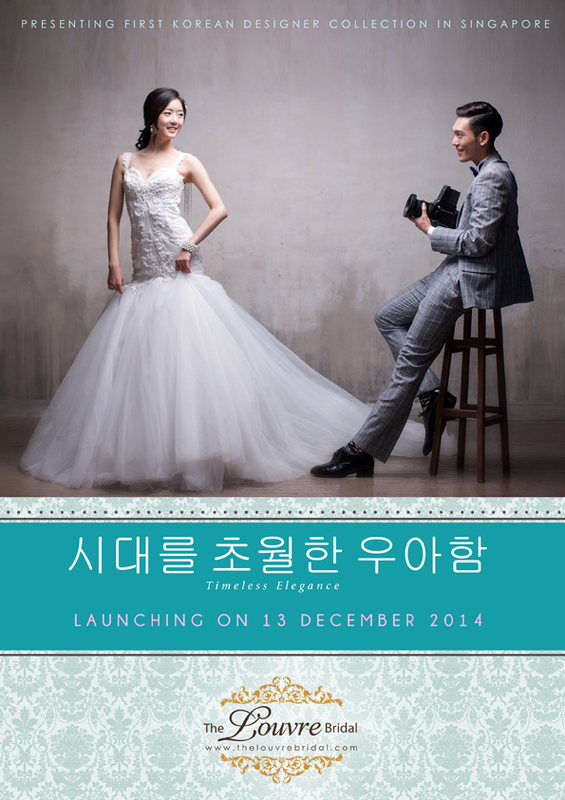 ?” means “Timeless Elegance in Korean , is set for launch on coming 13th December 2014. 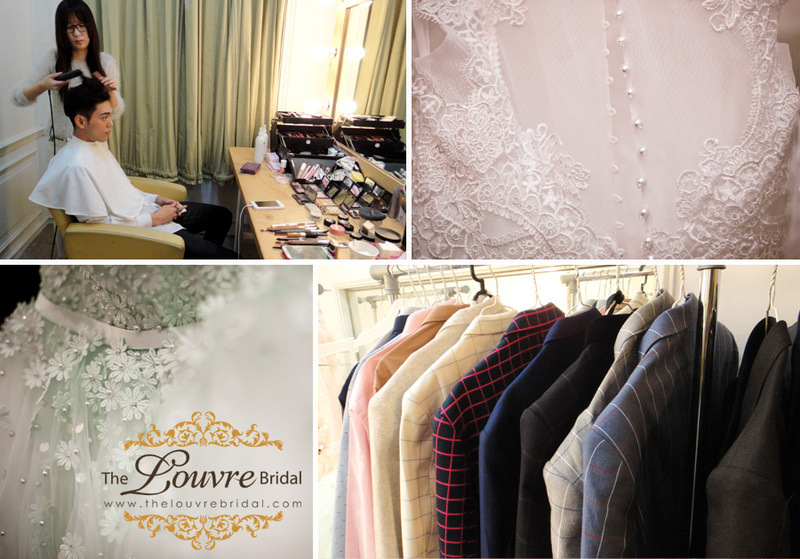 The array of mesmerizing wedding gowns and stunning suits designed by our Korea designer, Jun Ho (??) features incredibly lush fabrics and laces, with unique details and exquisite embroideries. Before the official launch of our FIRST “Korean Designer Collection”, we are pleased to bring you through some sneak peeks into the gown collection photoshoot in Korea! 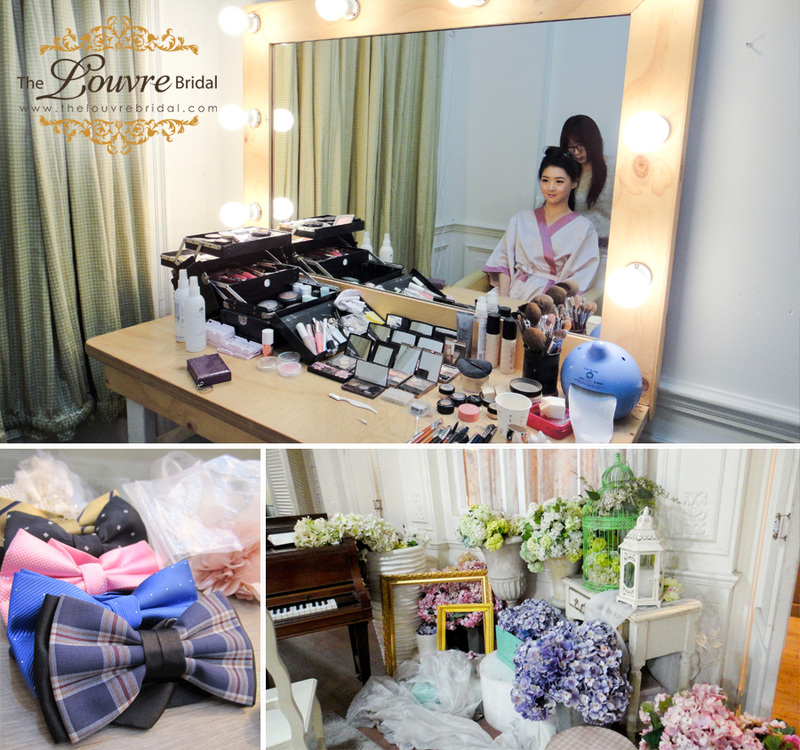 To capture the best of the fine Korea gowns and suits, the photoshoot was done at one of our top recommended Korean Concept Wedding photography studio, May Studio. It was early morning but the studio, but everyone was already busy preparing. The makeup artist styling the models, the gown helpers preparing the gowns and photographers prepping the studio’s set etc. Let’s take a journey through with us into the making of the shoot. After seeing so much, we’re sure you’re as eager to see the actual gowns and suits for yourselves! Catch full collection during the runway launch on 13th December 2014 at the Singapore Marriot Hotel. Check with our team on how to register for the event! Last but not least, we like to thank each and everyone from design, tailoring, preparation and photo shooting in Korea. 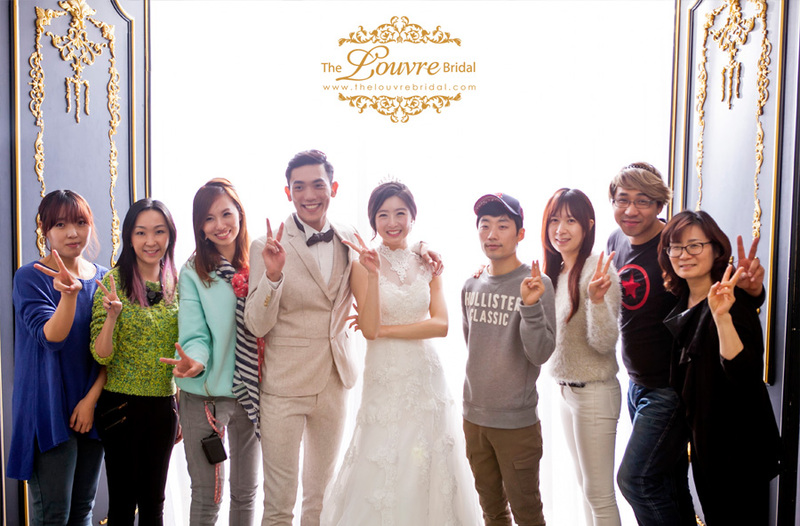 It was a great journey and experience to making true the First Korean Bridal collection in Singapore! Kudos to your hard work! Now, brides and grooms-to-be are you ready? 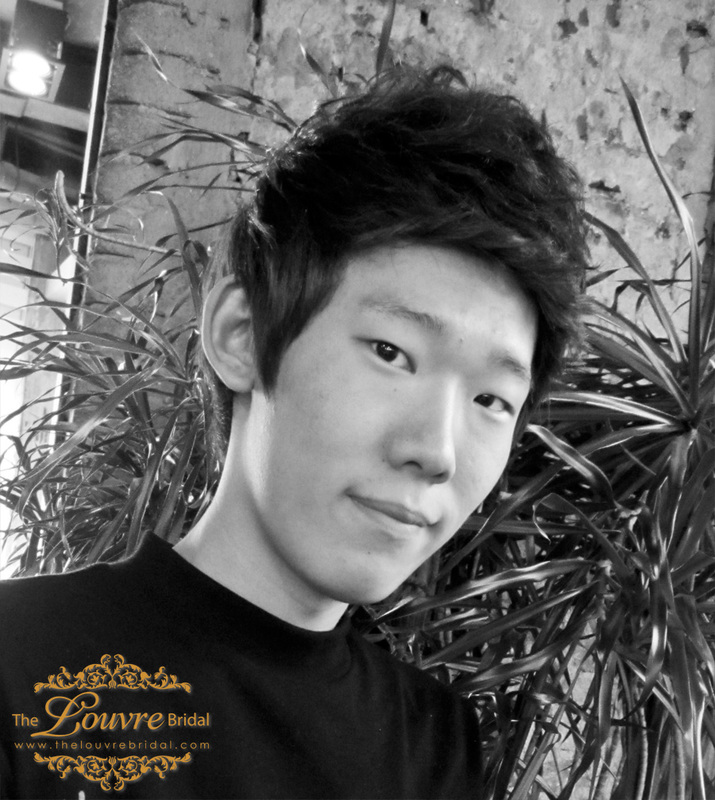 Come and experience Korean Style with us!